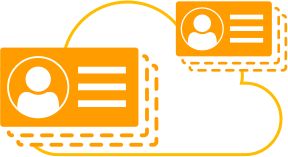 You can quickly create your own directory to sign up and sign in users, and to store user profiles using Amazon Cognito User Pools. User Pools provide a user interface you can customize to match your app. User Pools also enable easy integration with social identity providers such as Facebook, Google, and Amazon, and enterprise identity providers such as Microsoft Active Directory through SAML. You can control access to your backend AWS resources and APIs through Amazon Cognito so users of your app get only the appropriate access. You can map users to different roles and permissions and get temporary AWS credentials for accessing AWS services such as Amazon S3, Amazon DynamoDB, Amazon API Gateway, and AWS Lambda. Q: Can I remember the devices associated with my application's users in a Cognito user pool? Yes, you can opt to remember devices used to access your application, and you associate these remembered devices with your application's users in a Cognito user pool. You can also opt to use remembered devices to suppress second factor challenges for your users when you have set up multi-factor authentication. Q: How can I migrate my existing application users to Amazon Cognito user pools? There are two ways you can migrate users from your application's existing user directory or database to user pools. Amazon Cognito helps you migrate users in real-time as they sign in to your application using a built-in AWS Lambda trigger. The built-in Lambda trigger enables you to migrate users without forcing them to reset their password. Alternatively, you can migrate users in bulk by uploading a CSV file containing the profile data for all your application users. You can upload the CSV file through the Amazon Cognito console, the APIs, or AWS CLI. Upon signing in for the first time, users must verify their account and create a new password using a verification code sent to their email address or phone number. To learn more, see Importing Users Into User Pools. No. The optional AWS Mobile SDK saves your data to a SQLite database on the local device, this way the data is always accessible to your app. The data is pushed to the Amazon Cognito sync store by calling the synchronize() method and, if push synchronization is enabled, all other devices linked to an identity are notified of the data change in the sync store via Amazon SNS. 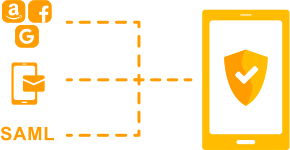 With Cognito Streams, you can push sync store data to a Kinesis stream in your AWS account. You can then consume this stream and store the data in a way that makes it easy for you to analyze, such as an Amazon Redshift database, an RDS instance you own or even an S3 file. We have published sample Kinesis consumer application to show how to store the updates data in Amazon Redshift.